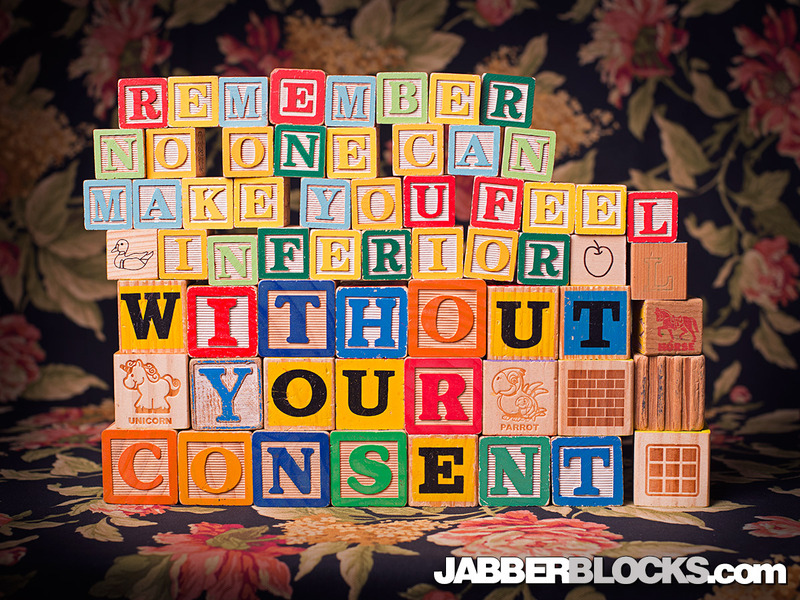 Remember No One Can Make You Feel Inferior Without Your Consent – This is another great quote from Eleanor Roosevelt. Don’t let others have that kind of power over you.I think this is something that every kid needs to know while growing up. Seeing this written in kid’s alphabet blocks reminds how simple this phrase is. 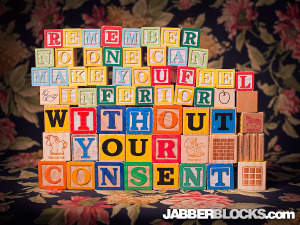 I’ve used the larger blocks to emphasize the important part, “…without your consent”.